Reflecting the range of indie beauty itself, the 30 brands Indie Beauty Media Group revealed today as 2018 Best In Show winners run the gamut from months-old skincare upstart O’o Hawaii to 15-year-old veteran hand and nail care specialist SpaRitual. The 30 categories is up from 28 the previous year. After the pruning of a handful of categories, new categories added this year are best bath product, deodorant, eye makeup, SPF, impulse buy and gym product. 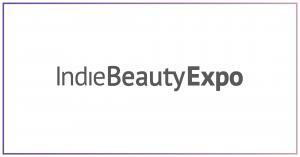 Winners were selected from a pool of more than 350 nominees, the largest number ever in the four years of the BIS program, culled from 538 Indie Beauty Expo exhibitors participating in at least one of last year’s four exhibitions: Los Angeles, Dallas, New York and, for the first time, London. The BIS awards span categories such as Best Shampoo/Conditioner (Groh came away with the win), Best Ingestible (Hum Nutrition) and Best Facial Cleanser (Code of Harmony). Code of Harmony also represents a category, CBD, that is likely to have its own award for the 2019 season, according to Jillian Wright, co-founder of IBMG, producer of IBE and owner of Beauty Independent. To find out more about the brands who won the Best In Show 2018 awards, read here. For the latest on all things indie, join our newsletter and be the first in the know. Join our newsletter & receive exclusive event invites, brand stories + exciting news about all things Indie Beauty.